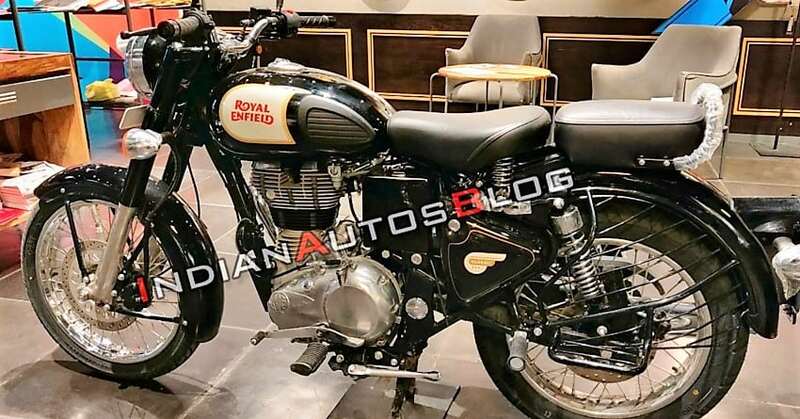 Royal Enfield Classic 350 now gets a rear disc brake as standard. The powerful motorcycle is evolving into a safer machine day by day, first with the introduction of a rear disc brake for Redditch and Gunmetal Grey and then with ABS on the Signals Edition. The Classic series, including 500 models, are available with front and rear disc brake as standard. 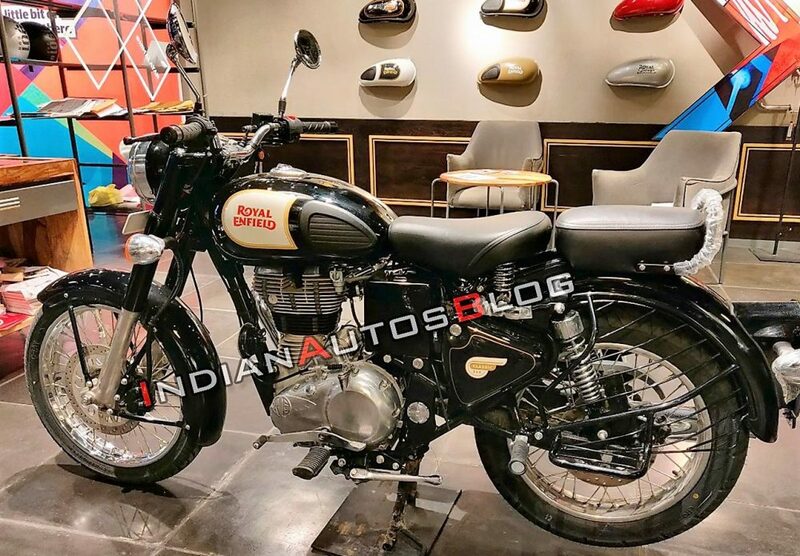 The bigger version also comes with ABS on all variants while 350 Signals is the only one from the 346cc series to get the feature. Royal Enfield is expected to equip the complete Thunderbird series with ABS in the coming days. The Classic series is divided into two parts, one carrying the carburetor-fed 346cc engine and the other one with a 499cc fuel injected unit. The latter one is divided into Classic 500 Black, Squadron Blue, Desert Storm, Chrome and Stealth Black shade. The special versions are priced higher than the standard Black version. On the other hand, Classic 350 comes in standard shades, Redditch, Gunmetal Grey, and Signals Edition. Here, the dual disc variant is priced at INR 1.47 lakh, taking the on-road price tag up by a considerable amount. The ABS version is priced INR 15,000 above the given point. Royal Enfield Classic is the highest selling model of their lineup, fetching around 50,000 units in sale every month. The numbers vary without any fixed factors as RE is not known to offer impressive discounts on this series. The Classic 350 is available in Ash, Chestnut, Silver and Black shade. 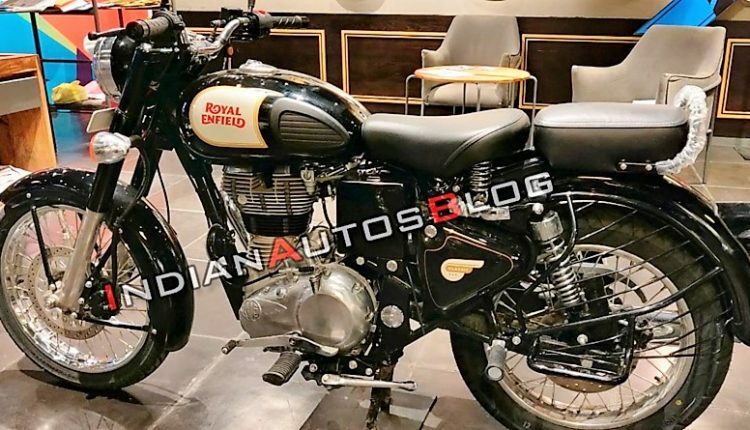 Royal Enfield has discontinued the Blue shade from the 350cc and Tan shade from the 500cc variant. The 346cc, single cylinder engine is good for 19.8 BHP and 28 Nm of torque. The engine comes mated to a 5-speed gearbox with no added equipment like slipper clutch.